Pumping of liquids and extraction of leachate in landfill, drainage of contaminated fluids and groundwater. The ATEX pumps in conformity with 2014/34/UE Directive can be installed in potentially explosive atmospheres according to the marking explained hereafter. 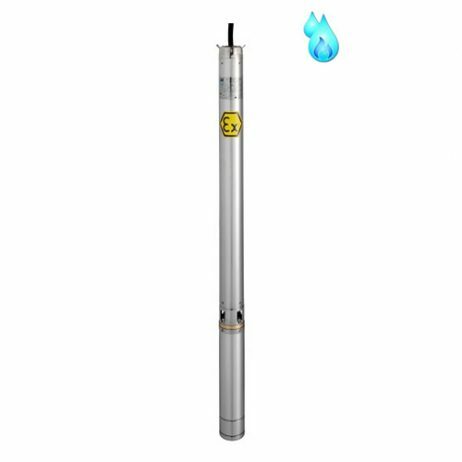 • Multistage centrifugal electric submersible pumps for 4” wells characterized by a floating impellers system that allows the pumping of leachate and charged liquid with small solid bodies. • External pump case, delivery port, suction port, shaft and other components in stainless steel. • Impellers and diffusers in special technopolymer with ceramic inserts at wear point. • The check valve made of stainless steel is installed in the delivery head. • Temperature of pumped liquid: max +40 °C. • Available the version for permanent immersion in hydrocarbons (our ID EX series). • Available in AISI 316 version. • Working voltage: three-phase 400 V.
• Intrinsically safe module with ATEX supply circuit. • ATEX level regulator with 5, 10 or 20 m of electric cable. 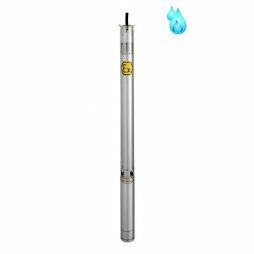 • ATEX electronic level transmitter. • Maxifilter 170, available also with slope riser for oblique wells.